Need help organising your Ski or Snowboard holiday in Morzine? Have a specific question about our accommodation in central Morzine? Maybe you need some help with booking any local activities, buying ski passes or booking snowboard lessons and transfers? Then we are here to help! Please fill in the form below and our team will be more than happy to help you out in any way we can. Morzine is full of amazing activities in both Summer and winter. We work very closely with the best local suppliers to ensure you have the greatest experience during your holiday. Our sales team have been on every activity we offer (its not the worst job in the world!) so they can tell you exactly what to expect on these fantastic extra curricular activities. From Epic rapid runs in the summer with Frogs Rafting, to shredding immense pow lines with Barry and Dave from Real Snowboarding in the winter, the possibilities are endless. So why not try something new this trip? If you are looking for a chalet holiday, we recommend The Tasty Ski Company. They have chalets located in Morzine and Le Grand Massif, and specialise in offering their guests a catered chalet experience. Get in touch with our team if you want us to organise something extra special for you during your holiday. 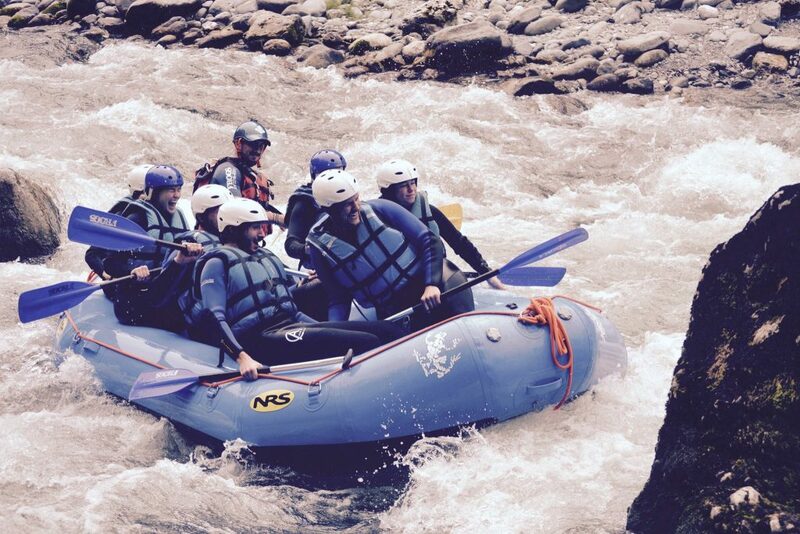 The intrepid Hideout Hostel team tackle the rapids of the mighty river Dranse with Frogs rafting last summer.